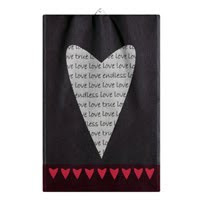 Looking for a Scandinavian gift for Valentine’s Day? 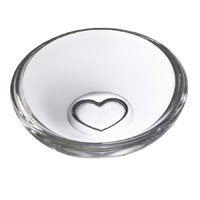 Here are some suggestions of romantic Scandinavian gifts. Whether she's of Scandinavian descent or just appreciates the style of Scandinavia, these irresistible gifts are perfect for Valentine's Day or any day of the year. The Orrefors Sweetie Bowl handmade in Sweden of pure crystal. Like your love, this item will last forever. 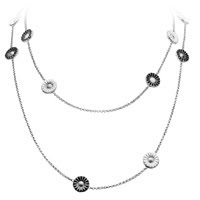 Easily dressed up or down Georg Jensen Daisy Jewelry is timeless yet contemporary and a favorite of women of all ages. 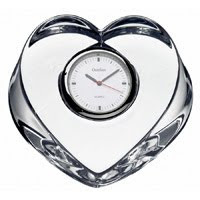 Functional and beautiful, this heart-shaped clock from Orrefors is the perfect way to say “I love you." Beautiful Scandinavian thick cotton throw from Klippan. 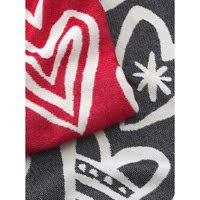 Made in Sweden these throws are durable and versatile. Cuddle up with it in front of the fireplace or use it for a romantic picnic. 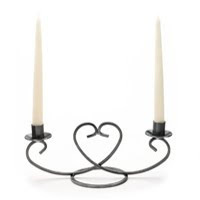 This heart-shaped candleholder from Denmark holds two taper candles can be used year-round. Love extends to cleaning up the kitchen! These beautiful cotton tea towels from Ekelund Weavers are made in Sweden and are woven with hearts and the phrase “endless love." 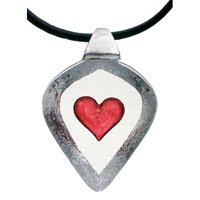 Love is the greatest, and she can wear it around her neck with this Heart Necklace by Mats Jonasson . Haven Pima Cotton Nightgowns are so soft she’ll never want to take them off -- they’re perfect for cuddling! All Haven nightgowns are currently on promotion--buy one get another one of your choice free.